In this first installment of the Great Granada Hills Pizza-Off, the hunt for Granada Hills' best delivered pizza will pit two chains against each other: the larger Ameci, with 34 locations, versus the far smaller Vincenzo's, which has just two locations, in Granada Hills and Simi Valley. How long will it take? "35-40 minutes." 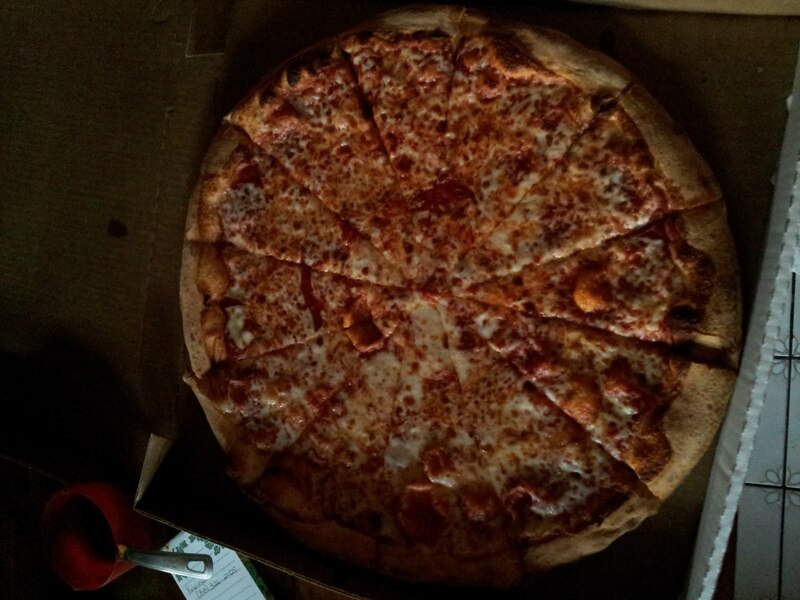 When they say large, they really mean large: that word gets you 28" pizza. Bigger isn't always better, but in this case it was: Vincenzo's pizza had a very fresh taste, with a pleasurably chewy, bubbled crust. How long will it take? "40 minutes." Ameci's large pizza is a 14-inch eight-slicer. Consensus: it did the job of being a pizza. Beyond that, the crust was flat and without body or character, and also sadly soggy -- a huge no-no in pizza making. Were they trying to save on power bills by using a cooler oven? No doubt about it: tasting these two pizzas side by side made the choice easy, for the discriminating adults as well as for our panel of less picky 12-year-old tasters, who devoured the Vincenzo's pizza first -- and not just because of the pepperoni -- while they left the Ameci pie on the counter. "I normally like plain cheese best," said one panelist, "but this pepperoni one is way better." Stay tuned for the next matchup, where we pit current reigning champ Vincenzo's against another competitor! The Granada Hills Pizza-Off is looking for sponsors, i.e., someone to buy me a pizza. Sponsors can NOT work for or be in any way affiliated with a pizza shop. Drop me an email. I've been a Vincenzo's fan since I first tried their pizza out in Santa Clarita. The best! Of the two choices I agree that Vincenzos is much better than Ameci's!!! For your next challenge try Guido's. Super inexpensive and pretty darn good! Um, I know bloggers are not journalists but a little bit of standards wouldn't hurt. Just so you know everyone knows a 14" pizza is usually considered a large in the industry. This is the norm. I don't know what you are doing comparing a party size pizza with one less than 10 inches its size. 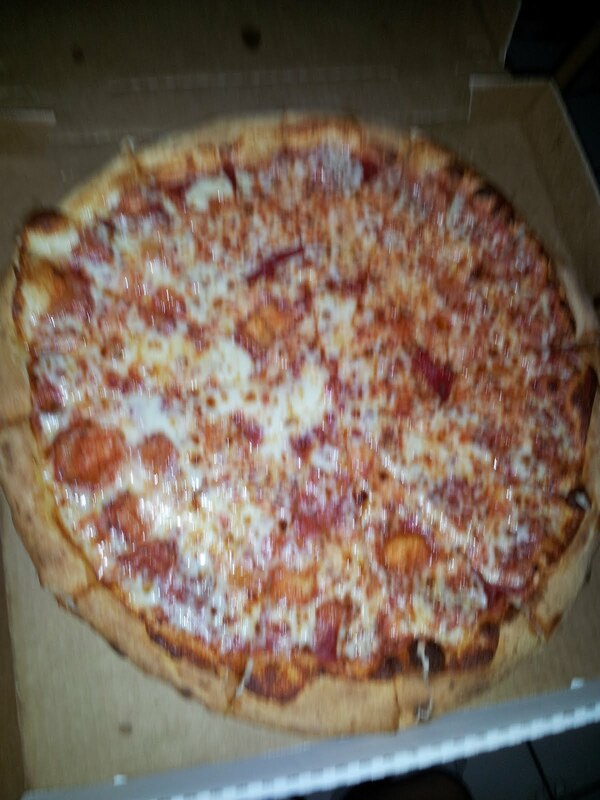 Oh and then of course you ordered one with pepperoni and one with just cheese that makes no sense either. What makes even less sense and where i'm forced to accuse you of being biased, partial and maybe bought by Vincenzo's is the fact that you list their 28" pizza WITH pepperoni as being 21 dollars when the price on the menu for a just cheese 28" pizza is 34.10 with an additional 4.40 for the topping plus delivery fee it probably will cost you TWICE as much as you state in this "article". Ameci's large cheese pizza is 10.99 plus taxes and the delivery fee it's actually slightly below 14 dollars. This article is flawed beyond repair and should be taken down. As far as the people commenting... Bunch of Nino's (I'm sorry Vincenzo's) pizza knob gobblers. You people don't even know what you are buying or what you are talking about. I'll take Amecis any day of the week even if the little funny guy in the front of the store gets hilariously short with overly demanding customer.